Striking ‘Bat Wing’ Art Deco Fixture. 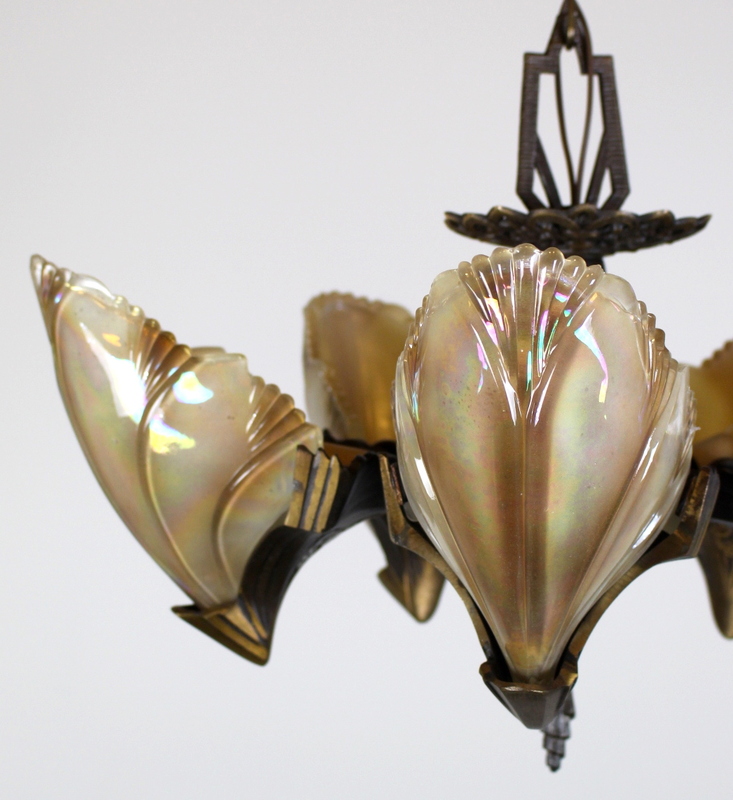 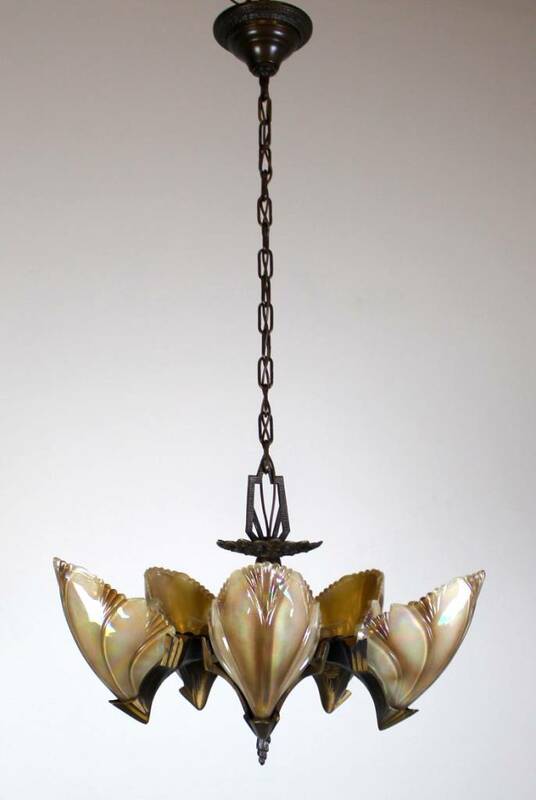 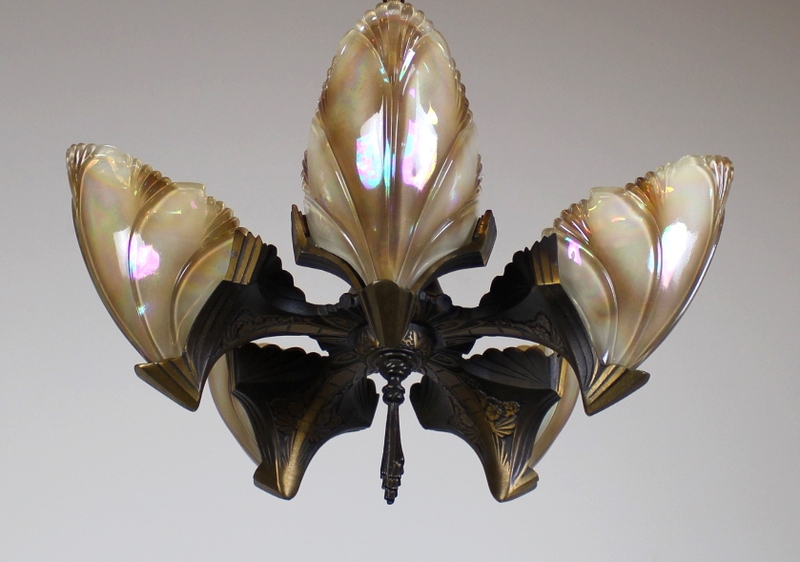 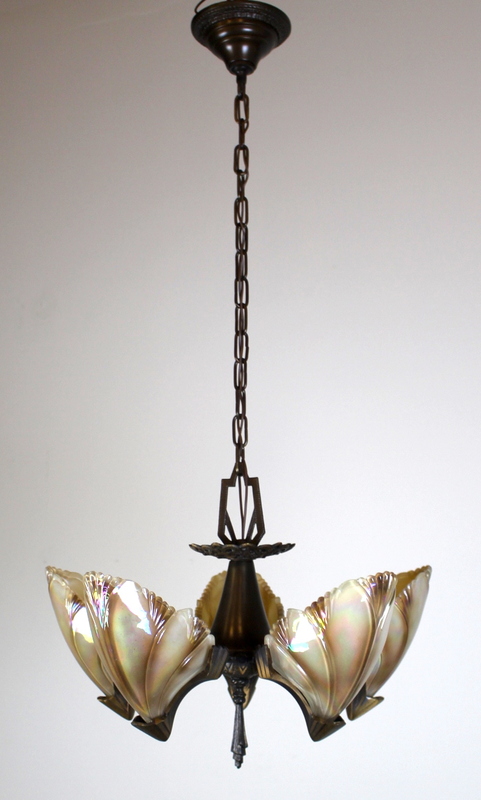 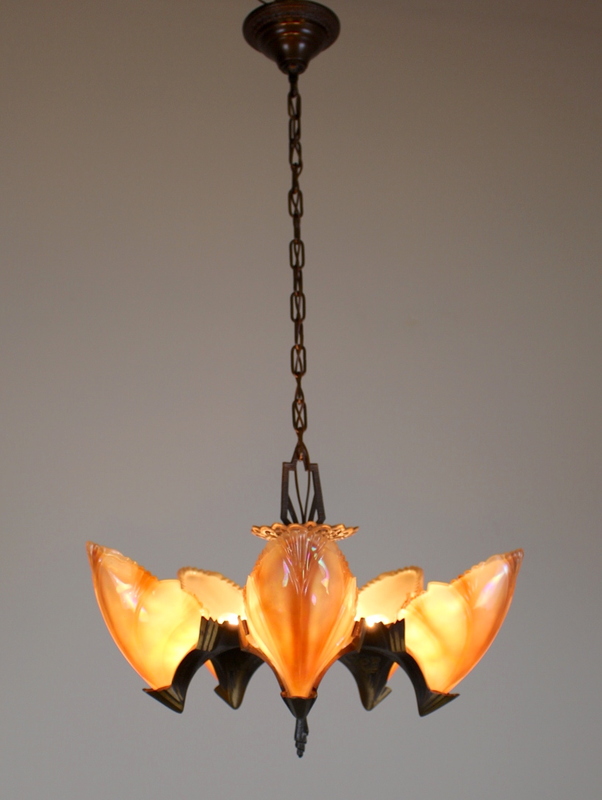 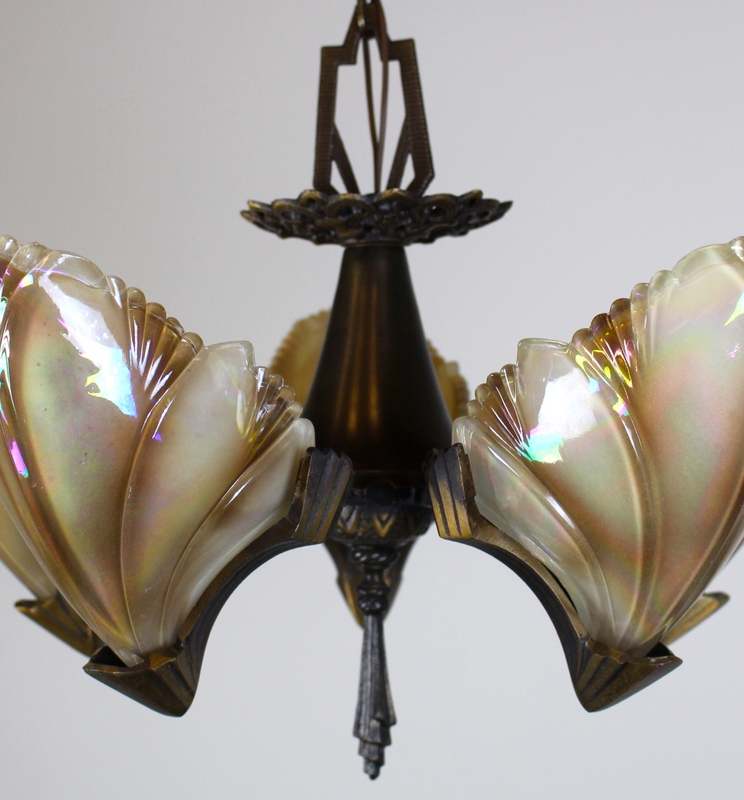 c.1930, This piece boasts its original finish + 5 beautiful Clam Shell Slip Shades. 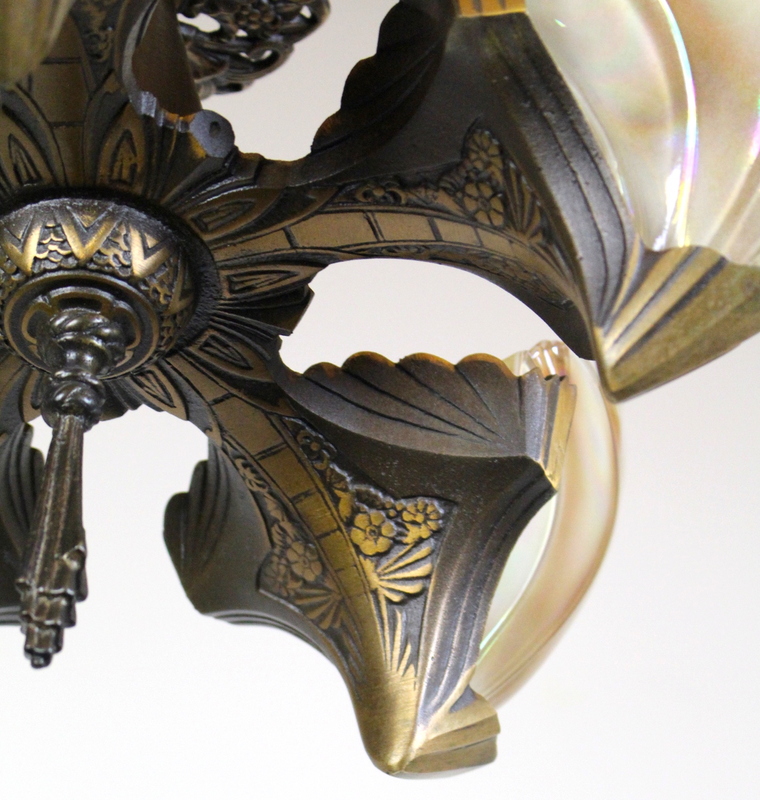 Tag: Art Deco. 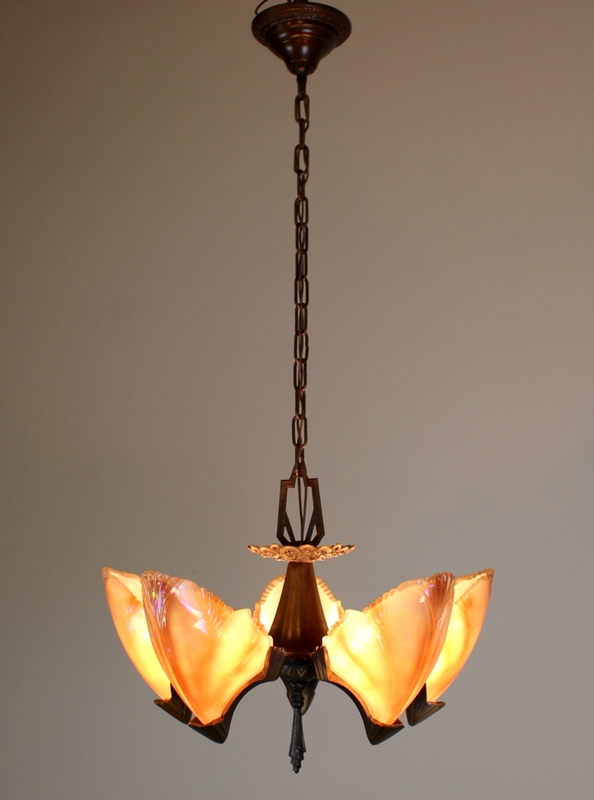 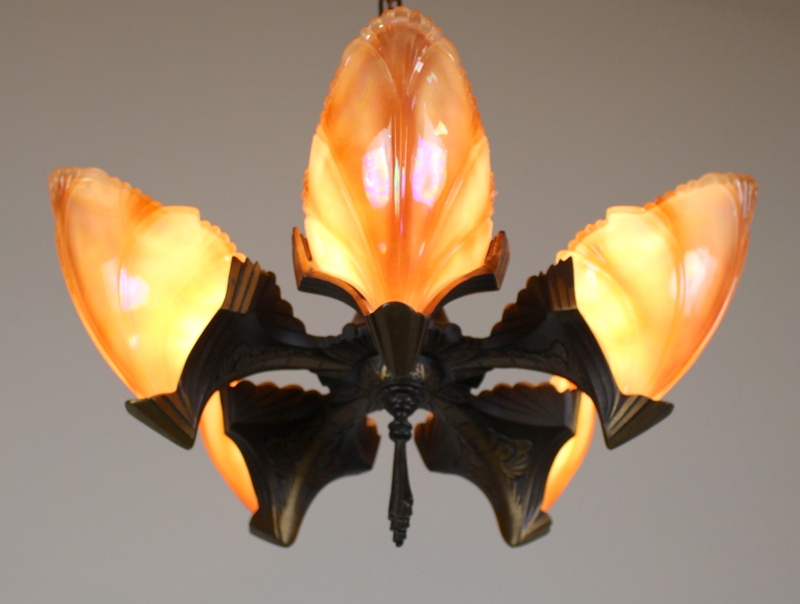 See more: Antique Ceiling Lights, Antique Lighting, Featured Items.